Many Thanks to Rev. Warren for sharing the Labyrinth with us! 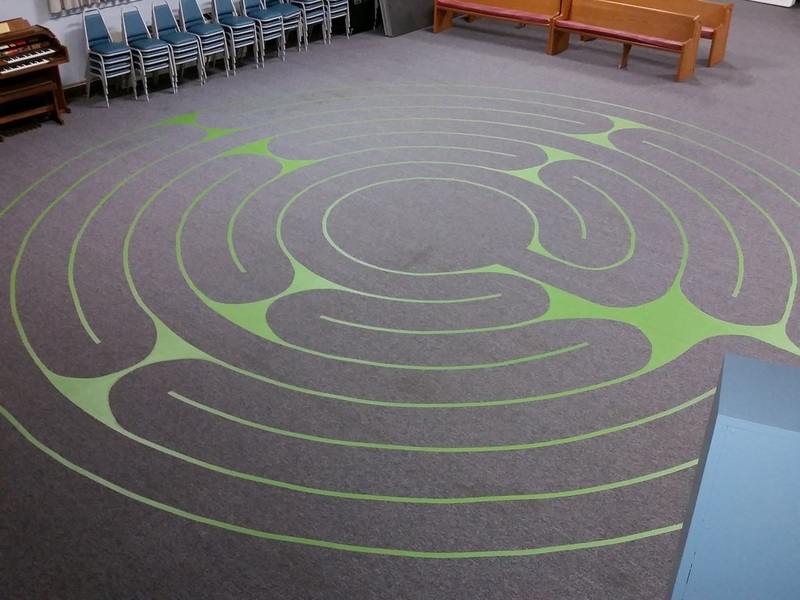 If you have a chance take the opportunity to walk the labyrinth, it will be on the floor for a few weeks. He also told us there are no rules for walking the labyrinth! And he encouraged us to take the time to write or journal our thoughts after walking the labyrinth.